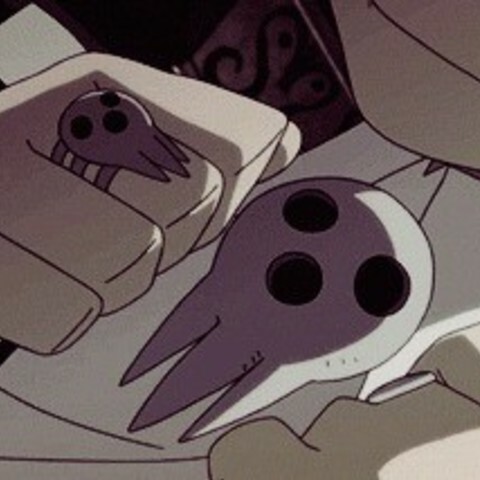 Death the Kid's ring(s) from the Soul Eater anime. Metallic versions can be bought online, but for those with 3D printers this is a good alternative. Note: This file should have a ring size of about 8.5. 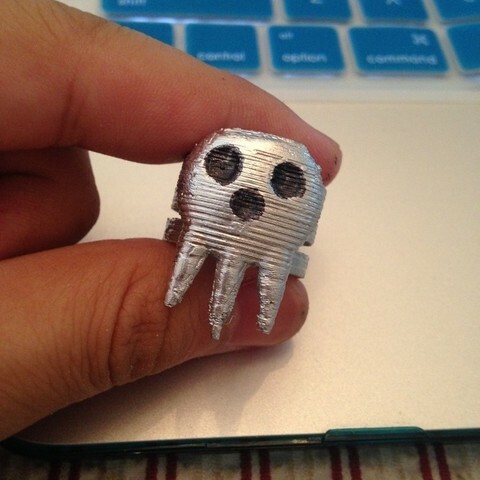 I tried to make the skull a good enough size so that any scale should keep it in good proportion with the rest of the ring. Enjoy! The default ring size is approximately 8.5, so scale it as necessary. In any orientation, this print needs supports and a raft. I printed at .2, but .3 or below should be okay. I would recommend at least a 50% fill because the actual ring portion may be a bit weak. Be careful when removing the supports.